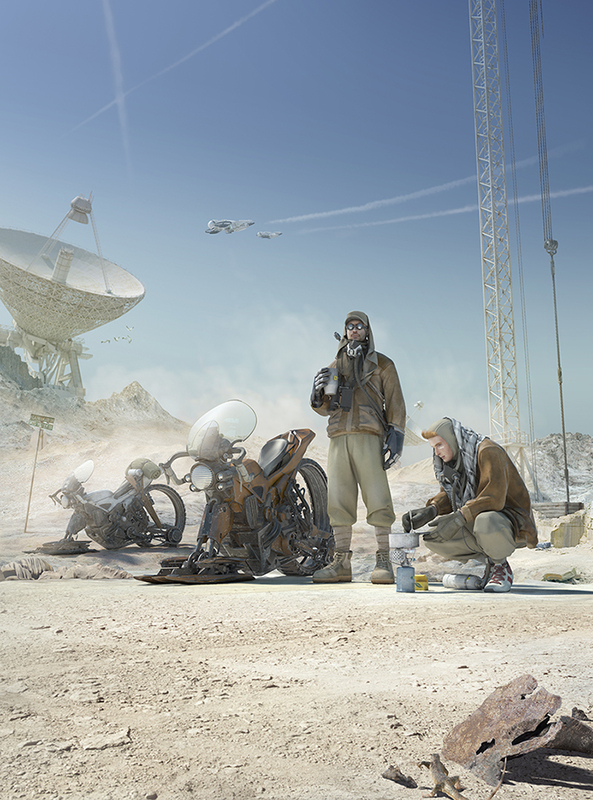 I first started with the bike concept : the ‘Scarab SW-1’ (Sun Walker). The rear of the bike lifts up when gaining speed and has the silhouette of a scarab beetle rolling his ball of mud/dung through the desert. After this I created the characters and it’s surroundings. All modelled in 3dsmax and Zbrush, rendered with VRay.